Low clouds light up the sky on a cool February morning in the capitol city of Texas. I had hoped for nice light for my efforts. 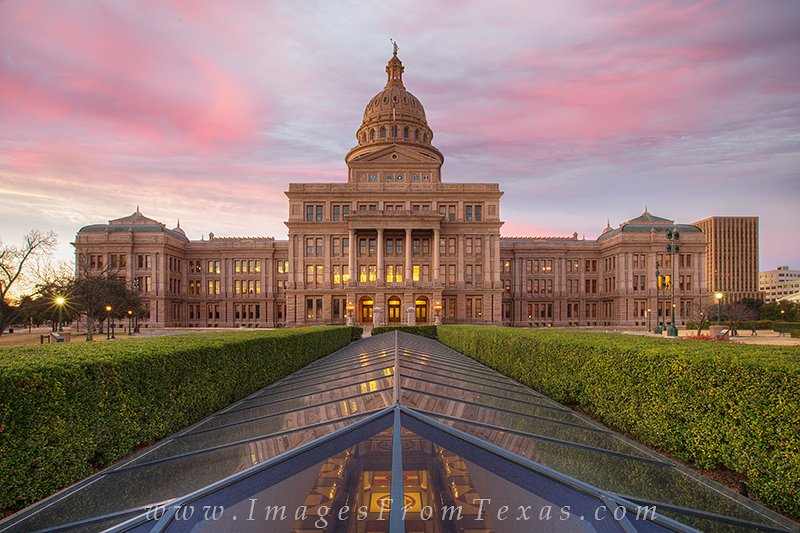 The Texas State Capitol lit up in this image from Austin, Texas, and I appreciated the colors in the sky. Photo © copyright by Rob Greebon.